CLS hosts a seminar series that aims to host broader and more inclusive conversations on socio-legal issues affecting Africa, we will examine how cultural and national stereotypes create biases that feed into various forms of racism, xenophobia, and social ostracisation and consequently lead to the perpetuation of various forms of injustice. 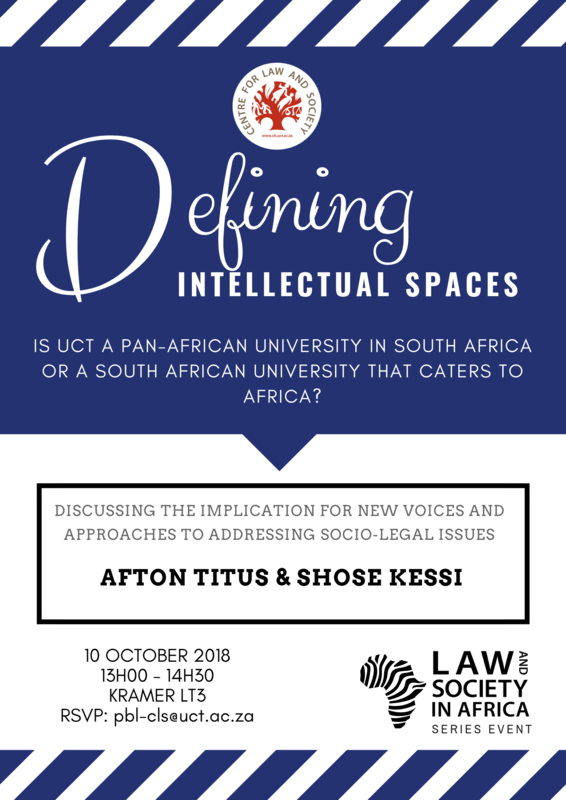 In October 2018, CLS hosted UCT academics Shose Kessi and Afton Titus, for a discussion defining intellectual spaces in the face of ongoing calls to restructure academic spaces and bring in new voices and approaches to addressing socio-legal issues. The title of the talk was: ‘Defining Intellectual Spaces: Is UCT a Pan-African university in South Africa or a South African University that caters to Africa’. 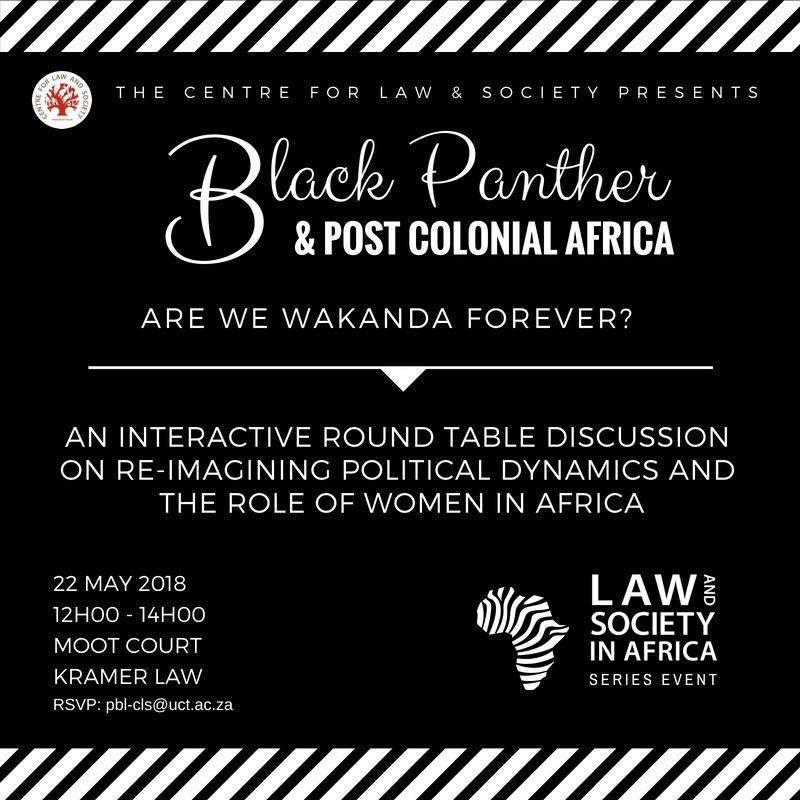 On the 22nd of May 2018 we hosted an interactive roundtable discussion with students and faculty members, entitled, ‘Black Panther & Post-colonial Africa: Are we Wakanda Forever? Re-imagining political dynamics and the role of women in Africa’. The discussion invited participants to look at some of the themes emerging from the movie ‘Black Panther’ and consider how the movie may help shape our re-imagining of the socio-political and economic structure of the continent in the hopes of building a truly wealthy egalitarian continent. 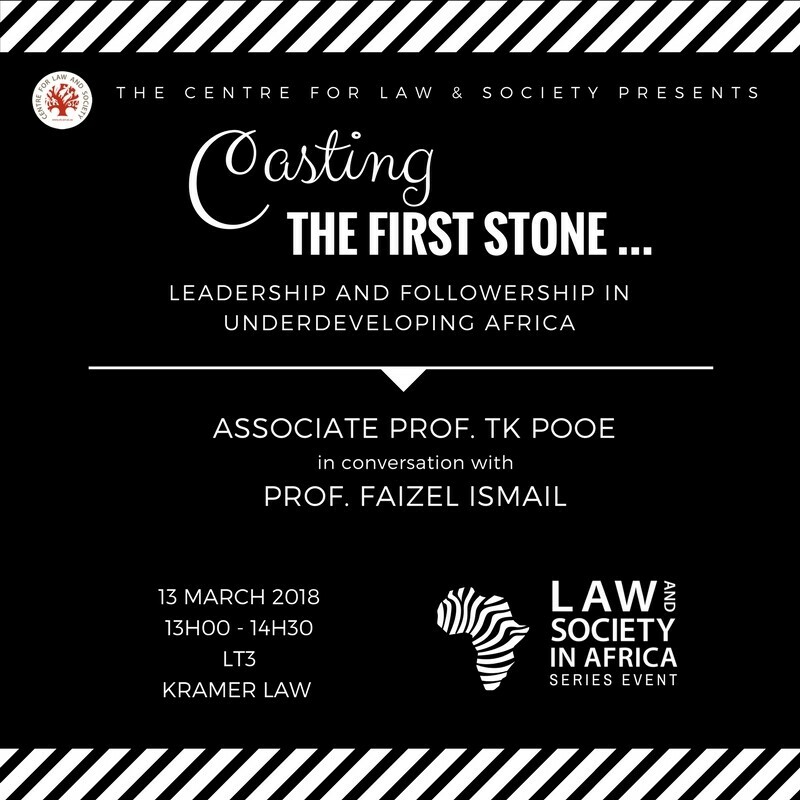 On 29th March 2018 CLS hosted the second Law and Society in Africa Seminar Series titled, ‘Casting the first Stone…Leadership and Followership in Underdeveloping Africa’. We engaged with arguments around Africa’s decline from the 1960s when successive nations attained independence and discussed whether the continuous underdevelopment of Africa may be attributed to flawed systems or rather flawed leadership and complacent followership. 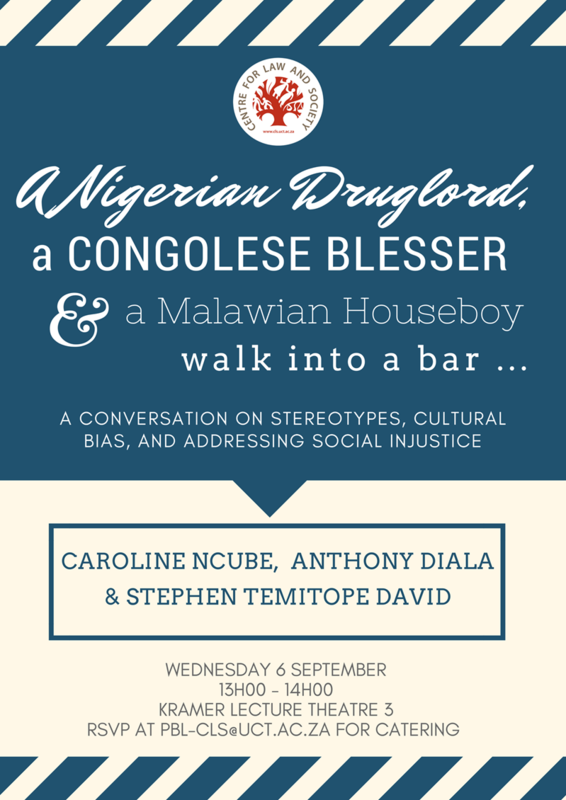 On 6 Septemer 2017 CLS launched the Law and Society in Africa Seminar Series with a seminar titled, ‘A Nigerian drug lord, a Congolese blesser and a Malawian houseboy walk into a bar…A conversation on stereotypes, cultural bias and addressing social injustice’.